Get breaking news alerts and the most important headlines of the day with regional news and weather from the palm of your hands. 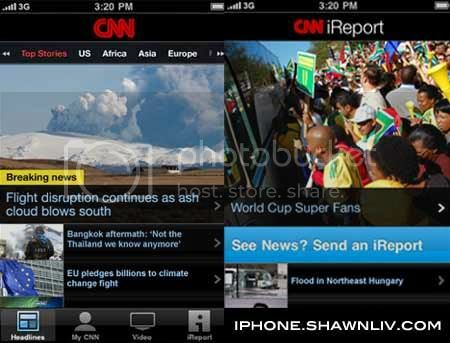 With the CNN App, you can also iReport on the move using the iPhone’s advanced photo and video capabilities. The CNN App is an ad-supported application and works on all iPhone/iPod touch Operating Systems and is optimized for OS 4.0.